Lake Chemong, is a lake 8 km NW of Peterborough, Ontario near the town of Bridgenorth. The lake extends from near Fowlers Corners north to near Curve Lake. Lake Chemong has a length of 14 km and a width of 1 km. Communities along and near the lakeshore include Bridgenorth, Selwyn on the east, and Ennismore on the west. There is a causeway which crosses the lake, connecting Bridgenorth and Ennismore by road. This causeway is called the James A. Gifford Causeway. Chemong Lake is part of a tri-lake water system consisting of Chemong Lake, Buckhorn Lake, and Pigeon Lake. The tri-lake area is host to several popular fishing tournaments throughout the open fishing season. 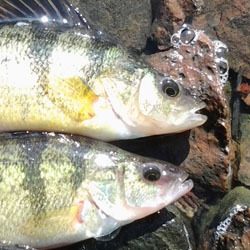 The most common game fish in the lake are smallmouth bass, largemouth bass, walleye, yellow perch, Carp, Muskellunge as well as a number of Panfish. Commercial and recreational fishing has caused the introduction of Zebra mussels, which change the ecosystem by filtering the water and making it clearer. 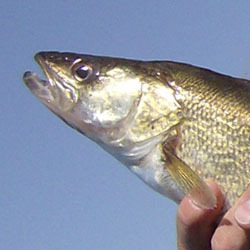 Some fish, such as Walleye, dislike the clear water and have become less abundant. Chemong is also a part of the Kawartha lakes water system and the Trent-Severn Waterway. There are a number of small islands on the lake, including Big Island (actually is located on Pigeon Lake), Goat Island and Kelly Island. Most of the islands have cottages or are commonly used as impromptu campsites. Rocky shoals surround these islands, boaters should approach with care. Although still commonly called 'Chemong Lake', the official spelling has been changed to the more accurate 'Chemung' at the request of members of the local native community. The name means "Mud Lake", referring to the swampy conditions of the area before it was intentionally flooded during the creation of the Trent-Severn Waterway. Each detailed map provides depth, contours, structure, boat ramps, and updated fishing information. 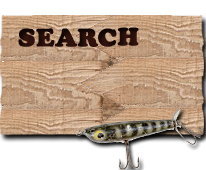 Lake Chemong fishing maps also include lake info such as gamefish abundance, forage base, water clarity, weedline depth, bottom composition, complete latitude/longitude grid lines and dozens of GPS waypoints & coordinates.